During our trip to Norway we spent a huge majority of our time eating items from the local 7-11 or Norwegian equivalent Narvesen, because much of the country was closed due to the Christmas holidays. During our time in Kirkenes alone, nothing was open except the hotel restaurant and it was entirely unappetizing due to the exorbitant price tags. We had to get pretty clever and ingenious when it came to feeding our hungry brood and we discovered a lot of yummy treats during our stay! These are our family’s favorite treats in Norway! No compilation of treats in Norway would be complete without the national yogurt. This stuff is the real deal. It’s thick. It’s slightly sour. It’s acidic. A lot of people thin it out with milk and add a little cinnamon and sugar, but we bought ours in good ol’ modern twist top packets in fruit flavors. Our children loved them. If there is one thing we noticed in Norway, it’s that everything has less sugar. Things that would give you tingly tongue in the states, has a much milder and less synthetic taste to it in Norway. Maoam Bloxx is Norway’s Mamba equivalent. Just like Mamba, these rectangular chewy candies come with four different flavor packages in one treat. My kids didn’t prefer whatever flavor came in the silver package (I think it was gas water), but the rest of the flavors were a fabulous hit. 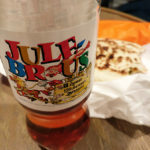 This is the Norwegian equivalent of Peru’s Inca Kola. Yes, it tastes like cotton candy. It is smooth and sweet, and marketed to minor’s as an alternative to ale. 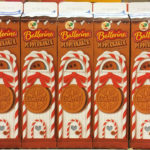 This drink is only available at Christmas time, and can be featured in either red or caramel colored. The color doesn’t change the taste, but is only indicative of where it was brewed. This was one of our absolute favorites treats in Norway and bought it wherever we could find it. We can’t pass up the chance to buy gads of these overpriced candy slash toy treats whenever we are in Europe. I thought they were big in France, but they are on every single shelf in Norway. They are in the deli section, the bread section, the fruit section, and the candy section. Try getting your kids to keep their hands off of them when you are assaulted at every corner. Now that the ridiculous ban has been lifted in the United States they aren’t quite so much a novelty, but we love them all the same. Chocolate! 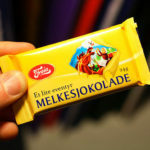 The favorite brand of chocolate treats in Norway are like a higher end, thicker, and bigger version of Hershey’s and does by the name of Melkejokolade. This chocolate originated in Sweden, and comes plain, with nuts, and with nuts and berries. 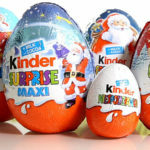 It’s almost as prevalent as the Kinder Eggs. In the 1920’s it was considered Europe’s best chocolate, in part because it wasn’t imported, and so it retains a sort of national pride for the people of Norway. Their love, and ours, has never faded. Norwegian’s consume 40 million marzipan delicacies just during the Christmas season alone in Norway, so it’s not surprise that marzipan is the national treat of this fjord laden country! Traditionally the treats come shaped as pigs, in fact one bank thought it would be quite festive and jolly to sculpt a pooping pig in the lobby of their bank for Christmas a few years back. But, if this doesn’t suit your tastes, you can also find Marzipan in other shapes like long sticks covered in chocolate – which is what we saw the most of. They are delicious! The best way to describe this delicious confection is like a gingerbread oreo. The cookie is gingerbread and it’s filled with a chocolate frosting. The combination is perfection. While you can get traditional Pepperkaker (gingerbread cookies) year round, the chocolate filled ballerina versions are only available at Christmas. 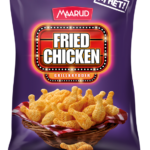 These weird bbq, mesquite but somehow not tangy, chemically flavored potato chips in the shape of a chicken fried drumstick wasn’t actually even close to one of our favorite treats in Norway, but it was the weirdest treat we couldn’t resist checking out. Technically, Gabriel was the only one who tried them and we were all satisfied enough with his description. 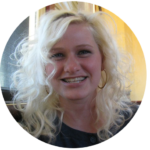 Check out some of these great treats for yourself! Some of these you might just have to go to Norway to try! Did we leave any of your favorites out? Let us know what we missed in the comments. We’d love to try it!